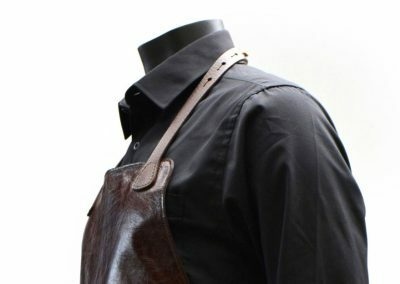 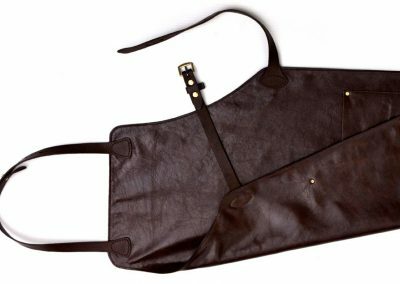 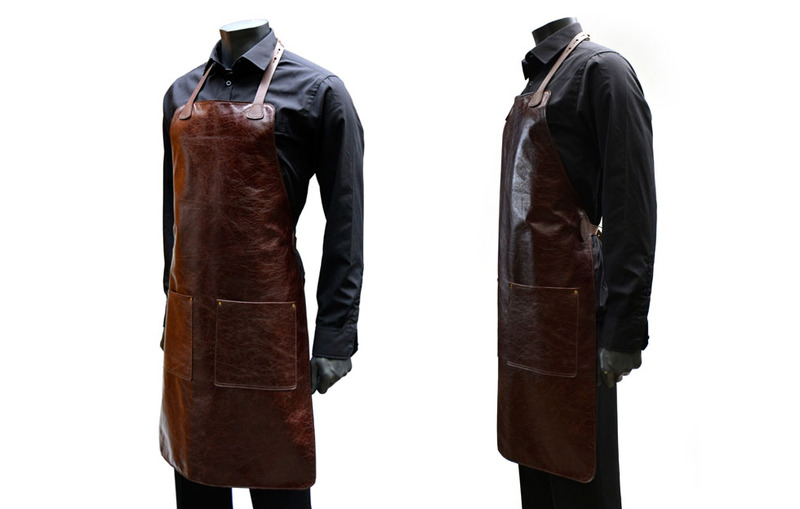 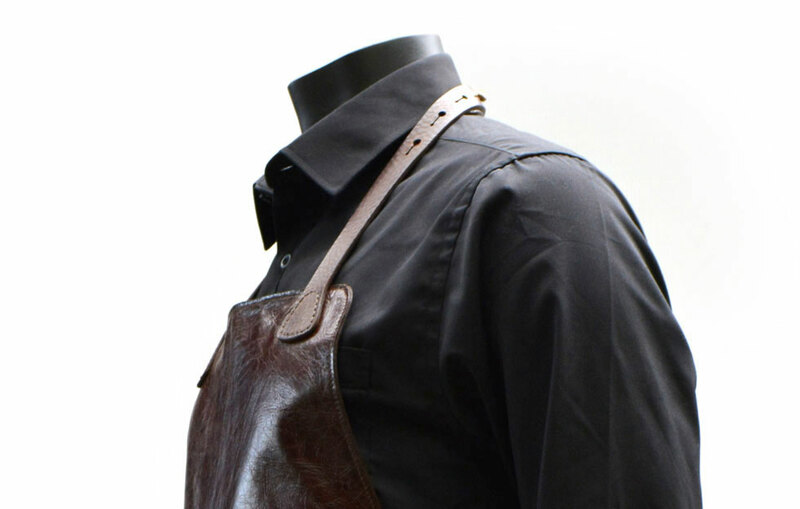 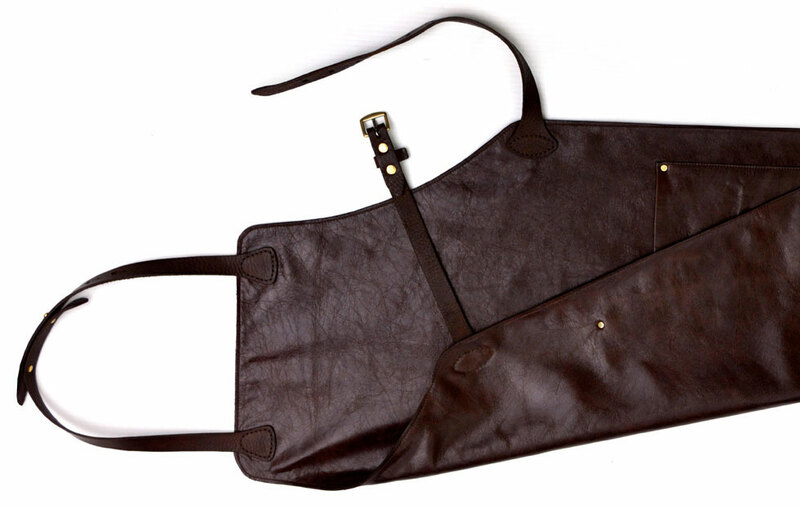 Originally created for Jameson Irish Whiskey, this classic leather apron is designed to last. 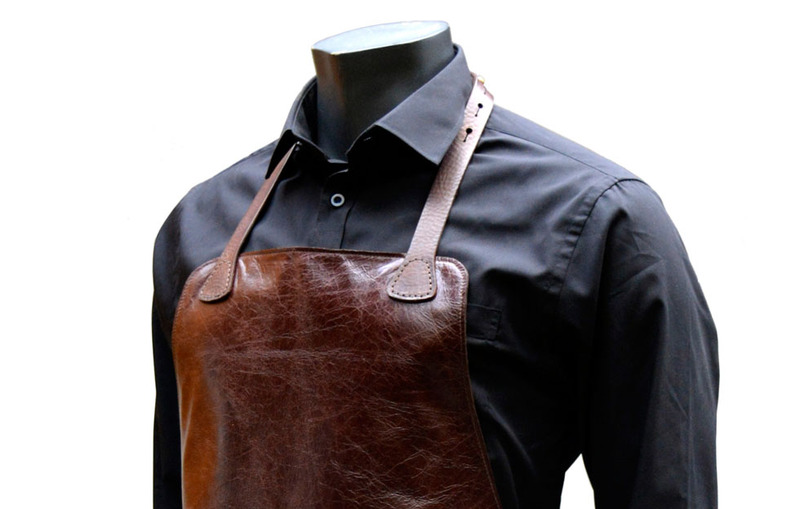 Made from two back-to-back portions of premium-polished leather that ensure it’s easily wiped clean. The Chef’s Apron has adjustable waist and neck leather straps that incorporate solid solid brass buckles and studs. 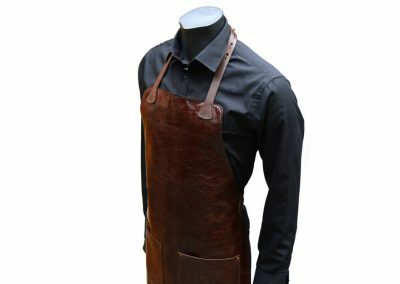 Whether you work in a fast paced catering environment, are a master in your own kitchen or just insist on manning the barbecue, this Chef’s Apron will always be the perfect choice or gift. 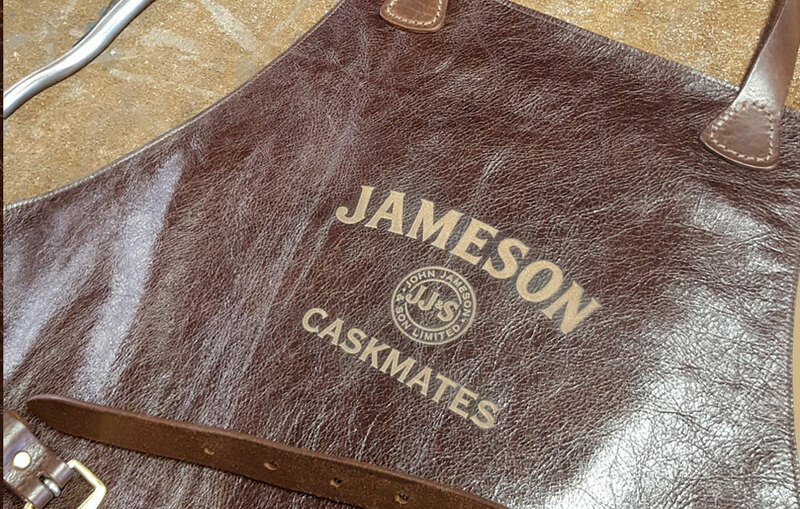 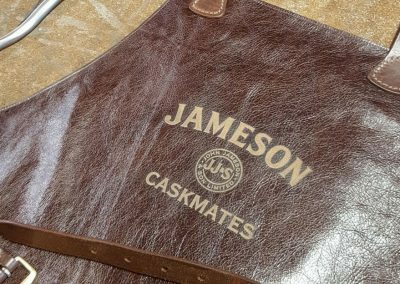 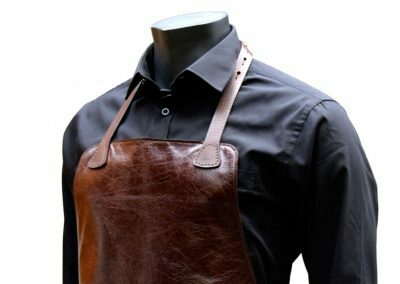 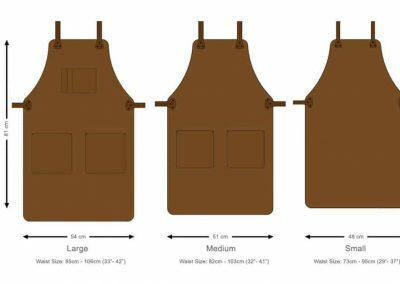 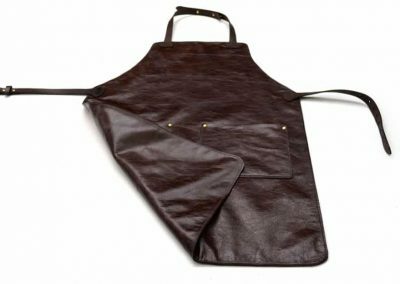 Originally custom made for Jameson Irish Whiskey, our leather apron is engineered for upmarket performance, quality and ability to last. 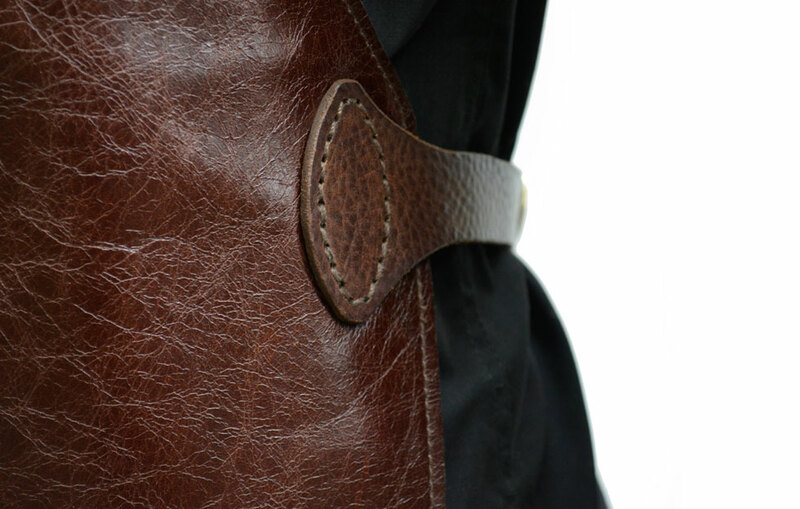 The font and back are made from premium polished leather. 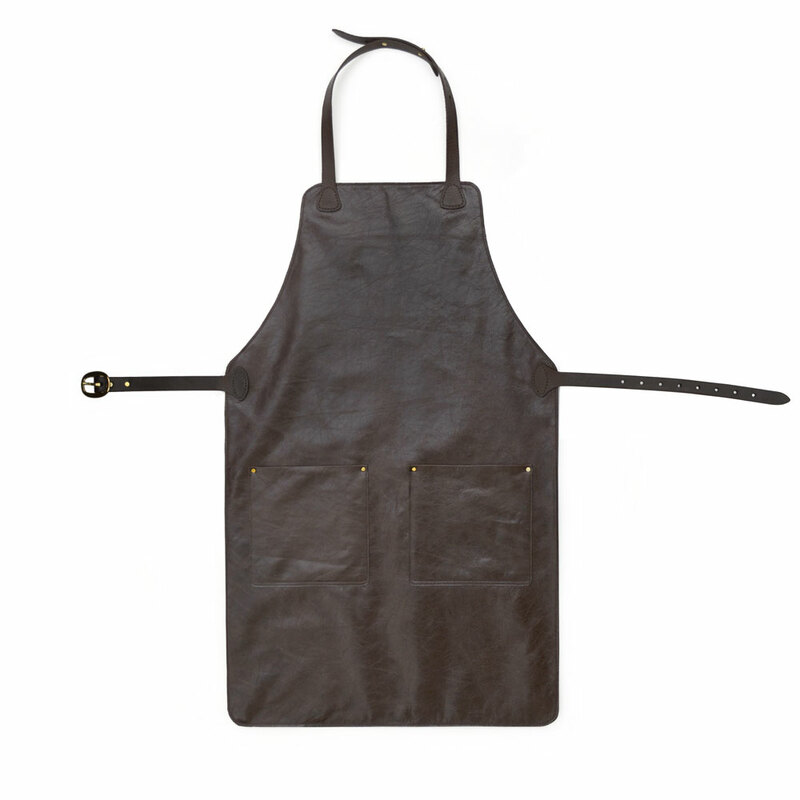 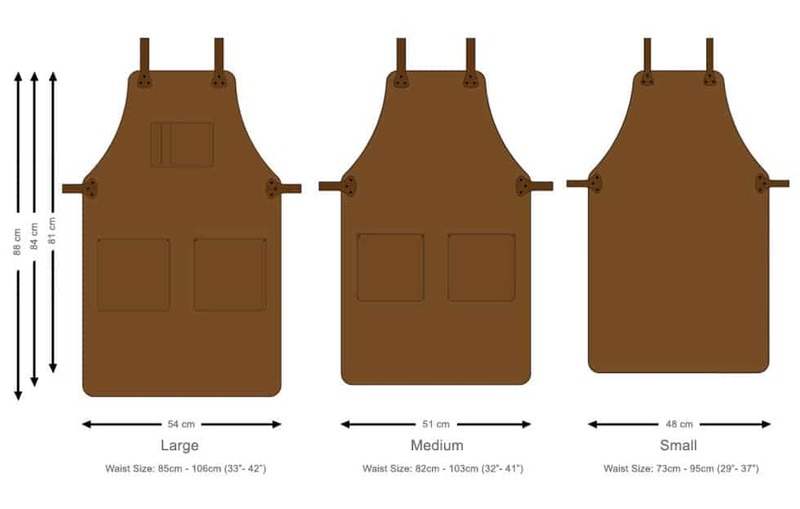 Aprons feature adjustable waist and neck leather straps, solid brass buckles and studs. 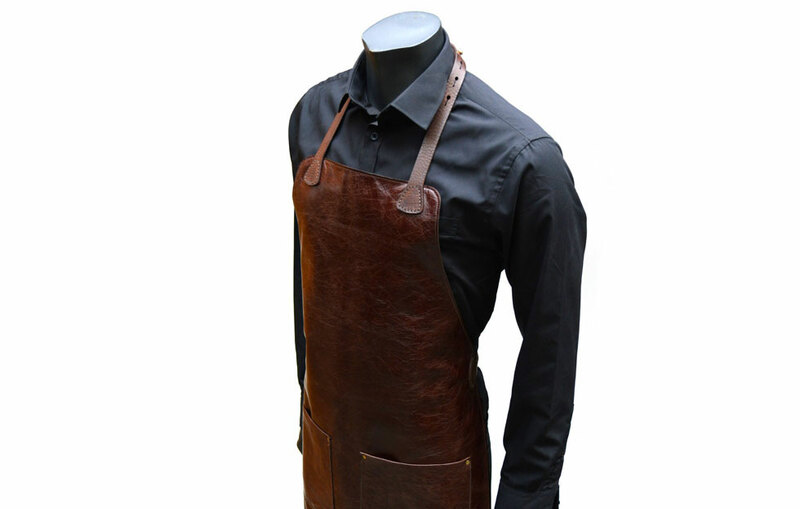 Perfect for withstanding food and drink stains and enduring a fast paced working environment. 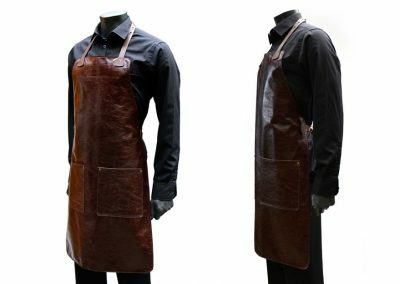 They are suitable for all the catering needs. 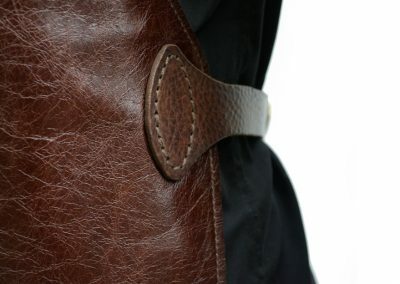 Pockets can be added upon customer’s request. 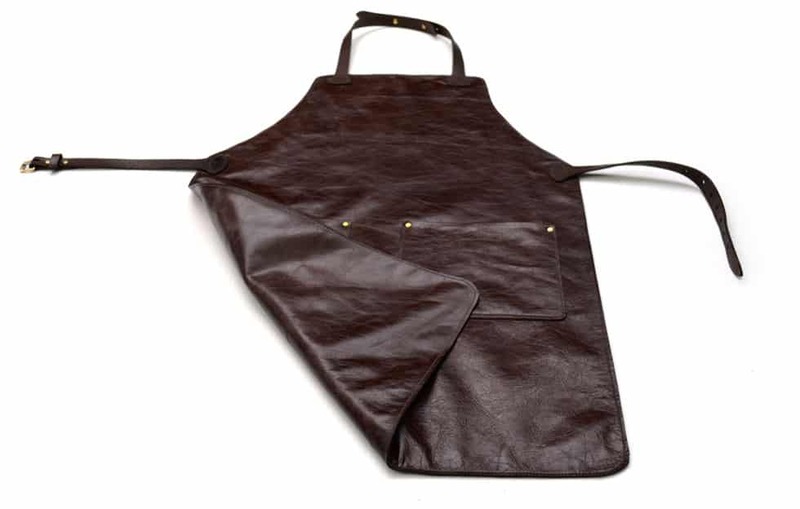 If you should require a company branding engraved on the front of the apron feel free to contact us.